The window is a part of the gravitational smoke ventilation system and is used to expel the excess of smoke and heat during the fire. Additionally, the system enables daily ventilation and allows light into the room. The window is equipped with electric motors, which open the window sash after receiving an electric signal from the control unit. The open window protects the roof opening against the lateral wind. The window is installed in such a way that all the window edges are below the roof ridge level. The smoke ventilation window has been manufactured and certified according to harmonised standard EN 12101-2:2005. This window is usually applied in stairways. 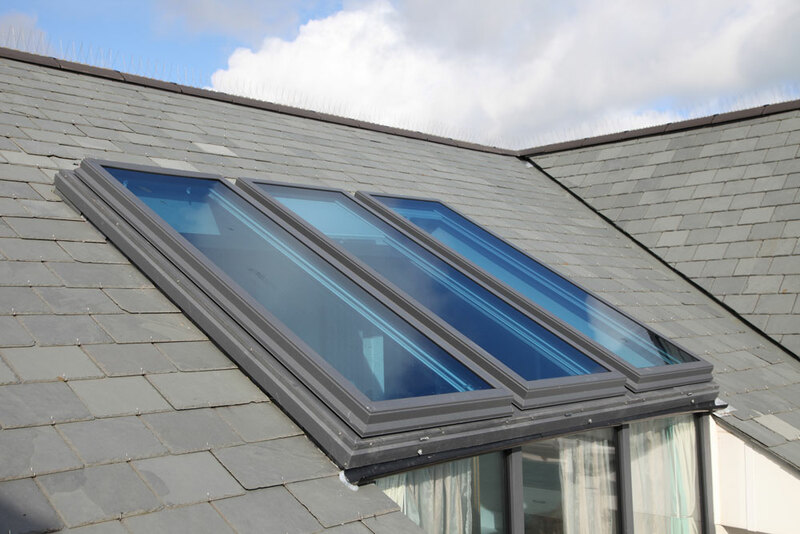 SKYTHERM roof vents are manufactured to your specification, the main frame accepting glazing above and below or it can be fitted with a head extension allowing you to take the vent up to ridge/wall plate. Skyvent is a specialist manufacturer & supplier of roof vents. 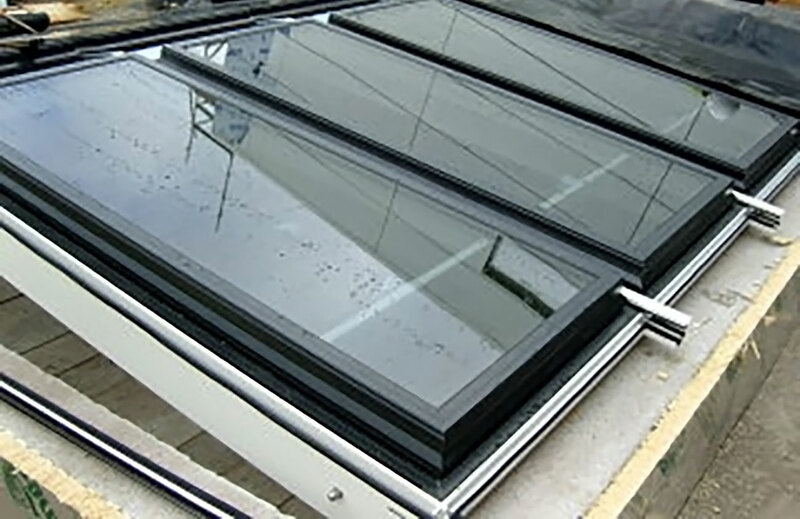 Founded in 1990 Skyvent has a knowledge of 28 years of expertise in the glazing industry. 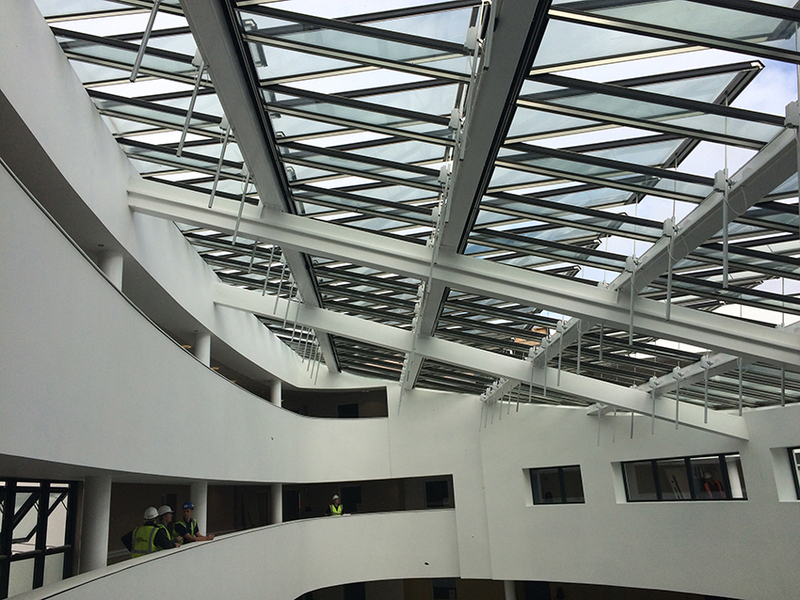 Our commercial SHEV Window are used by architects and stake holders to achieve the highest industry safety specifications. With our knowledge base we have also developed a domestic Skytherm roofing system Skycom roof vents have an aluminium & polyamide thermal break system. They are designed for the commercial sector, for curtain wall systems companies looking for a strong, robust system to compliment their own patent glazing system.